At the same time, multiple generations comprise the workforce, each with distinct work styles and preferences. Organizations are facing new challenges on how to satisfy each group’s expectations while attracting top candidates and are exploring new ways to empower, engage and connect their employees. 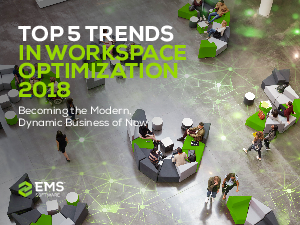 This eBook will explore this transformation, including the five significant trends we expect to see as we move forward.